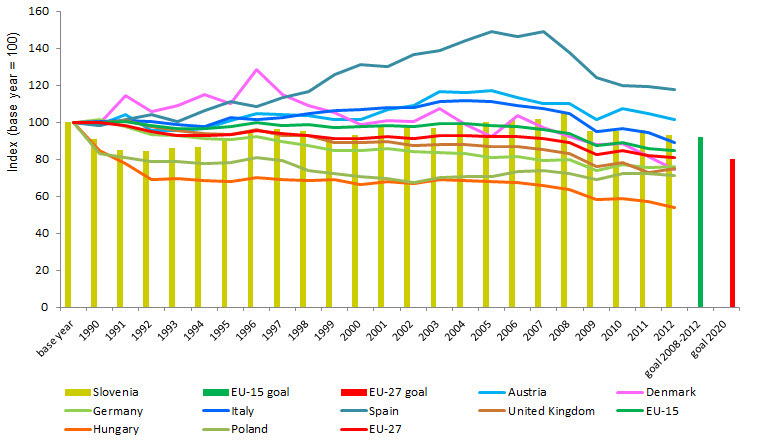 In most European countries greenhouse gas emissions in 2012 (compared to 2011) decreased, in EU-27 by 1.2%. 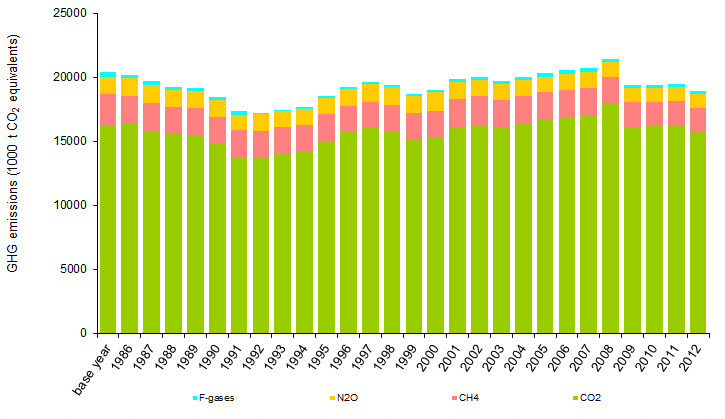 In Slovenia GHG emissions in 2012 were lower by 2.8 % in comparison to 2011. The main reason for lower emissions is still the economic crisis. GHG emissions in EU have increased in the transport sector, and in several European countries also from households as a result of heating due to a slightly colder winters. 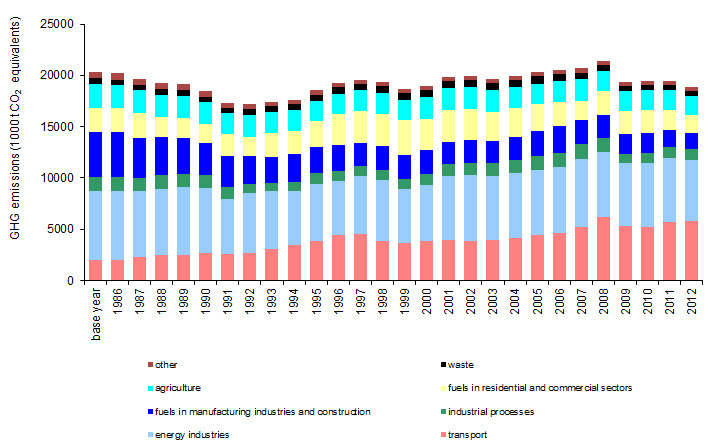 The increase of GHG emissions in Slovenia in 2012 by 1.3% is observed only in transport. In all other sectors GHG emissions have been lower than in 2011. Total GHG emissions in Slovenia in 2012 reached the value of 18,911 Gg (gigagram = 1000 tons or kilotons) of CO2 equivalent, which is 7.1% below the base year. Slovenia intends to achieve the Kyoto target by introducing sinks (in the amount of 1,320 kilotonnes of CO2 per year). EEA 2014; Greenhouse gas database, Slovenian Environment Agency, April 2014. Greenhouse gas database, Slovenian Environment Agency, April 2014.